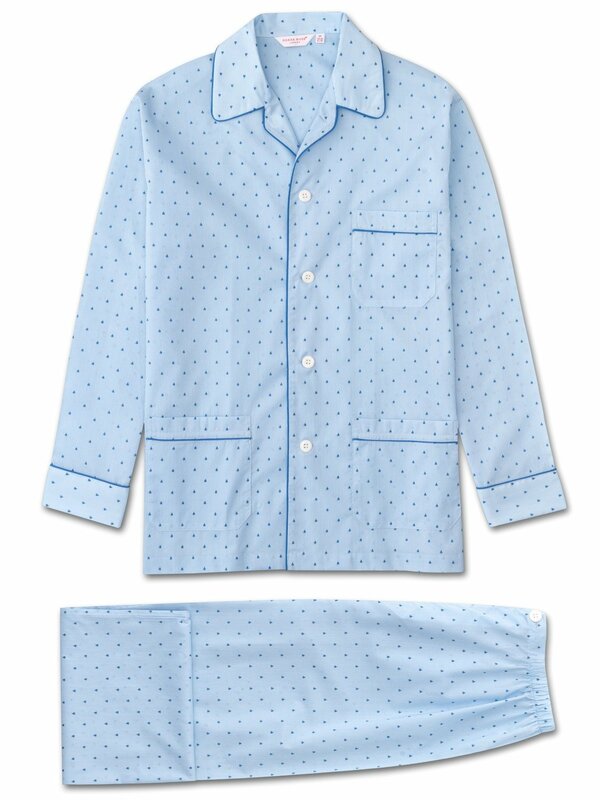 Featuring a three pocket jacket, classic collar and adjustable, two button traditional fly, this classic fit piped pyjama has a relaxed cut and elasticated sides on the trousers, meaning the front and back are flat for your comfort. Designed for comfort and relaxation in warmer weather, our signature cotton batiste fabric is lightweight and supremely soft for a perfect nights sleep. Blue piping throughout the jacket adds an additional touch of luxe to ensure nighttimes are as stylish as they are comfortable.